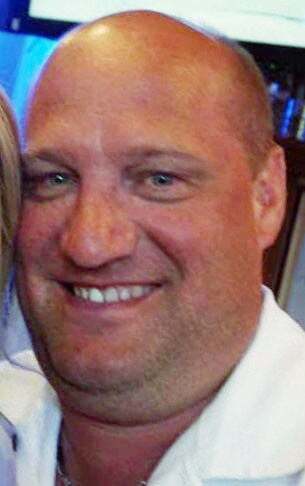 Gerald “Gerry” Andrew Hilzendeger, 47, Bismarck, passed away way too young April 7, 2019. Funeral Mass will be held at the Catholic Church of Ascension, 825 S. Third St., Bismarck, at 10 a.m. Friday, April 12. Visitation will be held at Bismarck Funeral Home, 3723 Lockport St., Bismarck, from 5 to 7 p.m. Thursday, with a rosary starting at 7 p.m.
Gerry is survived by his wife, Heidi (Hensel); daughter, Brooke, and his partner in crime, Kainoa Jangula; mother and father, Barbara (Kuhn) and Andy Hilzendeger, Napoleon; sister, Pam (Randy) Piatz, Bismarck; and nephews Brandon Piatz (Quin Glaser, fiancee) and Connor Piatz, Bismarck. He is also survived by his in-laws, Joan Houchin Nevis, Minn.; Matt Hensel, Osage, Minn.; Wendi (Hensel) Hartig (Clint Wright), Osage, Minn.; Herbie Hensel (Chris), Park Rapids, Minn.; nephews, Joe Hartig, Luke Hartig (Cassidy), Trenton Benson, Matthew Hensel; niece, Audrey Hensel, and great-nieces, Elana and Esme Hartig. In lieu of flowers, the family requests donations to your favorite charity. Go to www.bismarckfuneralhome.com to sign the online guest book or to share memories or condolences with the family.